Smart building technology helps building owners and managers manage security, control energy costs, and much more. Heating and cooling, lighting, monitoring entryways, automating processes, and detecting subtle changes in air quality and temperature are just a few of the ways smart building tech can help. In a correctional environment, IoT delivers resources that, in the past, would not have been possible, given available budgets and staff. 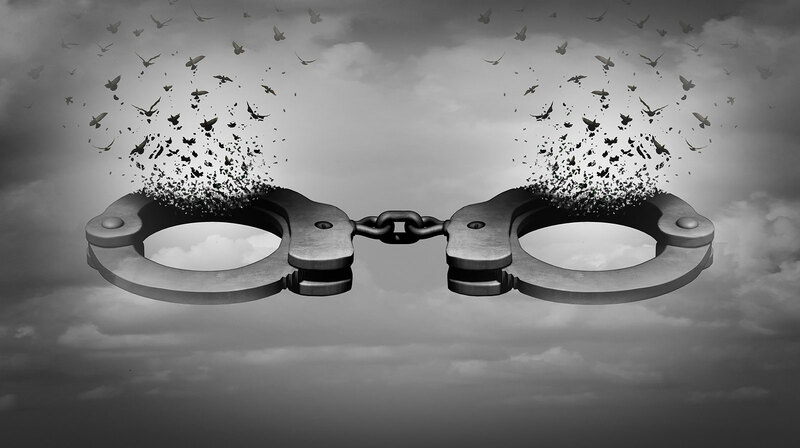 Though the more obvious advantages offered by IoT technology in a prison setting are enhanced security and safety, it can deliver new efficiencies in many other areas as well. Optimising energy usage and minimising waste are two distinct areas in which value can be realised, helping to support an environmentally-friendly initiative while reducing the total cost of housing inmates. Machinery used in a large correctional facility runs the gamut from HVAC systems to high-volume kitchen appliances, machine shop tools, and more besides. Sensors monitor machine operation to flag inefficiencies, ensuring the problem is fixed before the machine becomes non-operational. Processes continue without interruption and less time is spent monitoring systems. Since IoT can be controlled wirelessly, guards are free to monitor different areas of the prison while still maintaining complete control of lighting, doors, security, and communications systems. Strategically placed cameras allow each officer to view and maintain control over the entire system, no matter where they are in the prison. Facilities can then operate with a smaller, more efficient team allowing for fund reallocation to other areas, such as treatment programs to reduce re-offending. In a correctional centre, equipment and tools need to be monitored to ensure they are not stolen or misused. IoT sensors enable accurate inventory management and control, helping personnel locate items—and people—when required. In a prison setting, people are unable to exit a location voluntarily, and so, optimising fire safety is a priority. Smart building technology can ensure that fire alarms are instantly assessed as either valid and requiring attention or a simple malfunction. Smart exit and emergency lighting testing system such as EMIoT allows correctional facilities to save money on maintenance and energy usage through predictive maintenance. RFID sensors help track the movements and location of inmates and staff. They can also alert guards to significant concentrations of people in a given area, enhancing existing security systems, and improving safety. Reducing tensions in the prison environment improves safety for inmates and staff alike. An improved living environment, such as an efficiently air-conditioned cell and promptly fixed problems, is more likely to encourage cooperative behaviour. In related news, the US State of Virginia launched an HVAC vocational program for inmates that offers technician training in smart HVAC systems and controls. The program reports that 70 per cent of inmates that went through the program were able to procure work in the field on release. Another way that smart building technology excels is in giving management a single view of all their building’s systems, allowing them to make critical decisions promptly – as opposed to acting when the damage has already been done. In conclusion, IoT and other smart building technologies have the potential to transform correctional centres in ways that go well beyond security and safety, supporting building systems and management, and even offering the potential for inmates to improve their situations on release. If you would like to learn more about smart building technologies and how they can help your organisation, reach out today. Randi Sherman is a content writer, who along with her team of exceptionally talented writers, provides all your literary needs and actionable insights to drive new business and improve your bottom line. Previous PostHow Does Emergency Lighting Work?